TravelEurope Salina hotel reservation service provides you with a wide variety of lodging and hotel options, from cheap hotels to luxury accommodation in Salina. Quick and easy hotel reservations with instant confirmation and great value for money whether you travel for business or tourism. Select travel dates and find all available hotels in Salina, check out guests reviews and locate properties on Salina city maps, book your favourite accommodation with no pre-payment. All rates are in Euros and inclusive of all taxes. Ravesi Hotel occupies an ancient building dating back to the nineteenth century, a short distance from the picturesque old town of Malfa, Salina island. The beach is only 500 meters away. 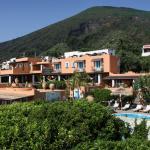 The Solemar Hotel is surrounded by the greenery of Salina, in the picturesque setting of the Aeolian Islands. The black sand beach is just a short bus ride away. The port and the sea are less than 3 km away. The Hotel I Cinque Balconi, cozy 3-star hotel located in downtown Santa Maria Salina, is a few steps from the beach of Punta Barone, and allows easy access to the picturesque harbor of the island of Salina. 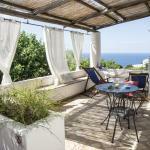 Signum has a privileged location on the beautiful island of Salina in the Aeolian archipelago. The hotel is housed in a group of old houses and is immersed in the wonderful vegetation typical of the area. 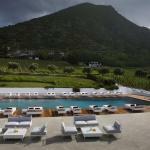 Capofaro Malvasia & Resort is surrounded by a picturesque vineyards of Malvasia and enjoys stunning sea views of Salina. The beaches are within walking distance. The public bus stop is nearby.